Two weeks ago, UFC president Dana White fined Michael Bisping an undisclosed – yet hefty – sum for his disgusting antics at UFC 127. For the first time since his punishment was issued, the controversial middleweight expressed his remorse for the incident and promised to reemerge a better man. “As a father, as a mixed martial artist, or possibly even as a role model, it’s not a way I should be behaving. It’s not how a mixed martial artist should be acting; not how anybody should be acting,” Bisping told The Telegraph. “Of course, I do regret it, and I owe Dana and the UFC an apology and I won’t be acting like that again. White believes Bisping intentionally threw the illegal knee in the opening round against Jorge Rivera and meant to hit Rivera’s cornermen with his DNA sample. 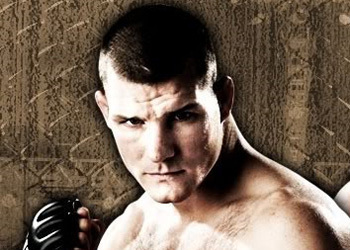 Bisping had previously denied doing either, but “didn’t even go there” when he and White had their powwow. White was vague when discussing the specifics of Bisping’s fine, but said “he was not bonused for the fight.” While it was initially believed he confiscated Bisping’s ‘Win Bonus’ for his impressive TKO victory, it appears White may have been referring to a different commission. “I’m contracted with a certain amount of money, which I am very, very happy with,” Bisping stated. “The UFC have me on a very good contract, but you do your job, you are a good employee, you do your PR work, you put on a good fight, and nine times out of ten, they look after you. This time, I never received anything. Rightly so, I was out of order. And the UFC had to do something. No word on when Bisping will make his return to the Octagon. However, the line to get a piece of him is forming rather quickly.